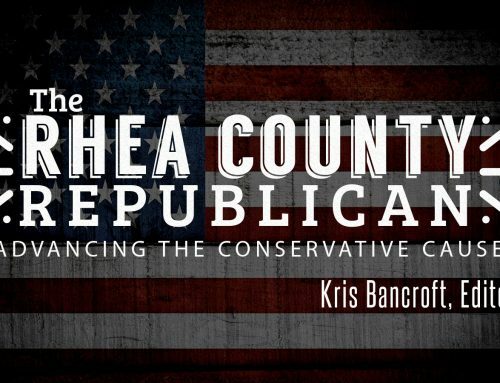 The December meeting of the Rhea County Republican Party will be held on Thursday, December 6th, at 7:00 PM, at the Rhea County Sheriff’s Training Center, 711 Eagle Ln, Evensville, TN. We look forward to seeing you there! CONGRATULATIONS! RCRP and Lions Club Member Mereta Keener has received the Melvin Jones Award in recognition for her outstanding humanitarian services over the past two decades. Most of the truly great books are not “easy reads,” but if we don’t want to think a great deal we are probably better off just reading the funny paper. It is those books that challenge us to think deeply that ultimately stay with us through the years because it is those books that shape our philosophy and thus help mold us into the person we are. I can say beyond doubt there have been few such books to come along in my lifetime and, with one exception, this month’s selection is the greatest book I’ve ever read. Apparently, many others think the same way; it was cited as “The Most Important Book of the Twentieth Century,” by the Harvard Literary Society. That accolade alone would seemingly make everyone want to buy a copy and read it. If my opinion means anything, I can tell you, as of this date, I have read this book four times. I plan to read it again before I reach my “expiration date.” The book is “Atlas Shrugged,” by Ayn Rand. If you have not read it, I sincerely hope you’ll find a copy and give it your time. If you do, I think you’ll gain more from it than you ever thought possible. The American Republic will endure until the day that the Congress discovers it can bribe the public with the public’s money. – Alexis de Tocqueville. This section is provided for our readers to make announcements about activities in their area or offer commentary on current events; they do not necessarily reflect the views of the publisher. All comments are welcomed for so long as they can be verified. Readers are encouraged to offer appropriate responses. Please e-mail your announcements or comments to pyrope84045@mypacks.net – Editor. 8:00 – I made a snowman. 8:22 – The transgender man . . . woman . . . person asked why I didn’t just make one snow person with detachable parts. 8:28 – I am being called a racist because the snow couple is white. 8:31 – The Muslim gent across the road demands the snow woman wear a burqa. 8:40 – The Police arrive saying someone has been offended. 8:42 – The feminist neighbor complained again that the broomstick of the snow woman needs to be removed because it depicted women in a domestic role. 8:45 – TV news crew from the ABC shows up. – I’m on the News as a suspected terrorist, racist, homophobic, sensibility offender, bent on stirring up trouble during difficult weather. 8:48 – I am asked if I have any accomplices. My children are taken by social services. 8:59 – Far left protesters offended by everything are marching down the street demanding for me to be beheaded. Moral: There is no moral to this story. It’s just a view of the world in which we live today, and for so long as people go around looking for an excuse to be offended, it is only going to get worse! Rocky Silverman, a reader from Seattle, WA, offers the following observation. The mainstream press and social media, the entertainment industry and the universities—all dominated by progressive elites—propagate scorn for conservatism. Conservative elites and many regular voters find themselves bound together by a common political opponent. And, I am adding Jewish liberal organizations as the Reform and Conservative Congregations of America where I once attended services and can speak of. The hatred and loathing of the President is serious and reaches levels that even mentioning the President is enough to cause immediate condemnation. There is nothing like leftist intellectual elitism of pulpit rabbi’s calling the President ignorant, a racist, and a liar. Their hatred for all things Trump is over the top. They accuse him of being a Hitler, being anti-Jew and fomenting violence such as happened in Pittsburgh. For American left leaning American Jews, the word nationalism is a buzz word for white-nationalism, the far right. They can’t quite see any difference. For them, he and his followers are the scum of the earth. They see no contradiction to their own hateful and spiteful words. Fortunately, most Orthodox and the majority of Israeli’s have a more favorable opinion of him. Think about this. How does one qualify to be the spokesperson for the animals? Shouldn’t the animal’s owner be the natural choice? He or she knows far better what that animal wants or needs than a social justice warrior. Ah, but no. Courts allowing standing for animals naturally have to see animal rightists as the rightful guardian of animals in question. You may think that it will never happen here, but look at Germany. RANDOM THOUGHTSI believe that this nation is the last hope of Western civilization and if this oasis of the world shall be overrun, perverted, contaminated or destroyed, then the last flickering light of humanity will be extinguished. I take no issue with those who would praise the contributions which have been made to our society by people of many races, of varied creeds and colors. … However, we have in the United States today hard-core, indigestible blocs which have not become integrated into the American way of life, but which, on the contrary are its deadly enemies. Today, as never before, untold millions are storming our gates for admission and those gates are cracking under the strain. The solution of the problems of Europe and Asia will not come through a transplanting of those problems en masse to the United States. … I do not intend to become prophetic, but if the enemies of this legislation succeed in riddling it to pieces, or in amending it beyond recognition, they will have contributed more to promote this nation’s downfall than any other group since we achieved our independence as a nation. – Senator Patrick McCarran, D-NV, on the Senate floor in 1953. To be quite honest, I remain doubtful the Republicans can summon such inspiration among the electorate to return them to the majority in 2020 but that’s a matter to be discussed at some later date. For now, we must take immediate action to persuade the Republicans to do those things they promised to do but failed miserably in their mission. So, what must we urge the Republicans to do before January 2019? The Republicans ran on repealing and replacing 0bamacare. The fact that they failed to do so was an act of betrayal on their part but they still have a chance to get that job done by reintroducing the same bill that John McCain, as his final act of defiance against President Trump, sabotaged. The Republicans ran on sealing our borders and deporting millions of illegal aliens. Thanks in large part to the departing Bob Corker and John McCain that legislation also failed to pass. If each of us takes a small amount of time to contact their representatives to urge them to get these bills signed into law before January 2019, we can help our Republican representatives to restore some of their credibility and thus have a better chance of regaining their majorities in both Houses. If we fail, the Republicans will likely also fail, and that will all add up to a failure for our country. Finally, there is another promise the Republicans should have made good on. The Republicans ran on restoring our nation’s sovereignty but bills such as H.R. 193 Restoring American Sovereignty Act of 2017, (Rogers, R-AL), hasn’t even made it out of committee. https://www.govtrack.us/congress/bills/115/hr193 I contacted Mike Rogers’ office and his staffer informed me that the bill would not make it out of committee. I asked that she kindly inform Rep. Rogers that I hoped he would keep the bill and reintroduce it if the Republicans were fortunate enough to win back their squandered majority in 2020. She said she would pass the message along to her boss. Perhaps you would like to phone Rep. Rogers to voice your opinion on this matter. His phone number is 202-225-3261. Thank you. 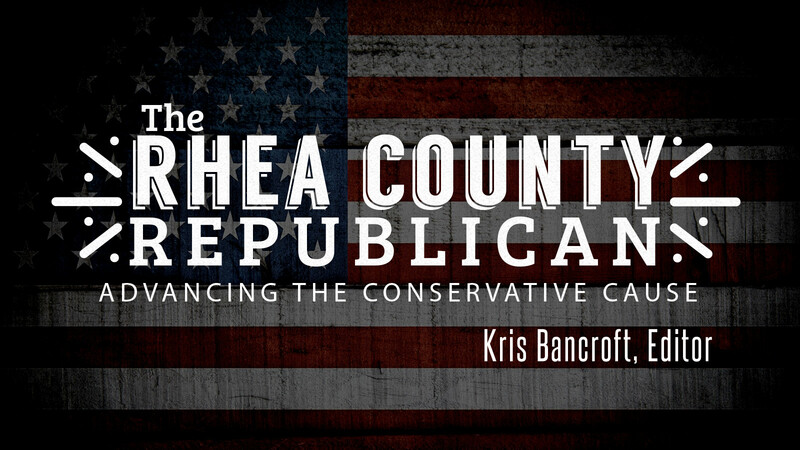 Chairman Keith Flatness called the October 4th meeting of the Rhea County Republican Party to order at 7:00 PM. Tom Taylor led the invocation and Joe Gryder led the Pledge of Allegience. Keith recognized our special guests, Liz and Chuck Holloway. Secretary Donna Taylor read the minutes of the September meeting. Joe Gryder moved to accept the minutes as read. Chuck Bauer seconded the motion and the motion carried. The Treasurer’s Report was read by Chairman Flatness, in the absence of Treasurer Larry Pendergrass. Bitsy Gryder moved to accept, second by Kris Bancroft, to accept the Treasurer’s Report. The motion carried. November 16th – Roane County Reagan Day Dinner starts at 5:00 PM, at Roane State. Bob and Janice Michael donated $50 to RCRP because they were impressed with the “Best Bench” honoring Gladys Best. Keith thanked Bitsy Gryder for coordinating the chili dinner tonight. October 9th is the last day to register to vote in the November election. Judge Shannon Garrison withdrew his request to the County Commission to make the election of the County Judge nonpartisan. Kris Bancroft moved to spend $2,000 on radio and newspaper advertisements for the election of our Republican candidates in the November election. Bitsy Gryder seconded the motion and the motion carried. Bitsy Gryder moved to pay to have “robocalls” supporting Republican candidates in the November election. Chris Bauer seconded the motion and the motion carried. After discussing the Reagan Day Dinner, Bitsy Gryder moved that we pay RCHS $1,000 to use the school [facilities] for our Reagan Day Dinner, to be held on March 2nd, 2019. Chuck Bauer seconded the motion and the motion carried. Keith appointed Joe Gryder, Linda Pendergrass, Laura Travis, and Julie Harris to the Reagan Day Dinner Committee. The committee to nominate officers for the 2019-2020 [Executive Committee] was appointed by Chairman Flatness, [the committee members are] Glen Varner, Joe Gryder, and Debby Byrd. Chuck Bauer moved that we donate $600 to the Sheriff’s Department for their Christmas Toy Drive. Glen Varner seconded the motion and the motion passed. Keith told his “Joke of the Month” and the meeting was adjourned. Many citizens still seem to underestimate the impact of grassroots organizing even after having witnessed the victories such organizations have achieved. Certainly, no one can deny the “Community Organizer in Chief” – Barack Hussein 0bama – knew what he was doing; from his first term in the US Senate, he went on to win two terms in the White House! Then, there are self-proclaimed Socialist candidates like Bill de Blasio and Alexandria Ocasio-Cortez who shocked our senses by winning the Mayor’s office in New York City and a seat in the US House of Representatives, respectively. “But that’s New York,” the average conservative seems quick to say but, could any conservative have imagined twenty years ago this could have been possible? Who could have imagined we could see a Muslim woman who is married her brother and has the Syrian flag adorning her office elected to the House? Still, it happened. And there were several VERY close calls. In the past month we have seen three candidates, in traditionally “red” states, that any rational person might claim were “unelectable” come very close to victory: Stacey Abrams, for Governor of Georgia; Andrew Gillum, for Governor of Florida, and; “Beto” O’Rourke, who ran against the staunch conservative Ted Cruz, in Texas. All three challengers were uber-leftists. (a) No local governmental entity or official shall adopt or enact a sanctuary policy. A local governmental entity that adopts or enacts a sanctuary policy is ineligible to receive any state moneys until the sanctuary policy is repealed, rescinded, or otherwise no longer in effect. (b) The attorney general and reporter shall receive complaints regarding any violation of this section. A resident of this state may submit a complaint in writing in a form and manner as prescribed by the attorney general and reporter. In lieu of submitting a complaint, a member of the general assembly may request, at any time, that the attorney general and reporter investigate and issue an opinion as to whether a local governmental entity or official has violated this section. (c) Upon receiving a complaint or request, the attorney general and reporter shall investigate and determine whether a violation of this section has occurred. The attorney general and reporter shall issue and make public an opinion stating whether the local governmental entity or official, which is the subject of the complaint or request, has adopted or enacted a sanctuary policy. Upon the issuance of an opinion by the attorney general and reporter that a local governmental entity or official has adopted or enacted a sanctuary policy, the entity, or the entity to which the official belongs, becomes ineligible to receive any state moneys that would otherwise be remitted to the entity. Ineligibility commences on the date the opinion is issued and continues until such time that the attorney general and reporter certifies that the sanctuary policy is repealed, rescinded, or otherwise no longer in effect. (d) The attorney general and reporter shall send to the local governmental entity that was the subject of the investigation and to the appropriate departments of state government a copy of any opinion issued pursuant to this section and any certification by the attorney general and reporter that a violation of this section is no longer in effect. S 3611 A bill to amend the Internal Revenue Code of 1986 and the Higher Education Act of 1965 to facilitate the disclosure of tax return information to carry out the Higher Education Act of 1965, and for other purposes. (Alexander, R-TN, 14 pages). This bill facilitates the IRS’s ability to collect federally-funded student loans by establishing a mechanism to exact payments from those who have defaulted on same.